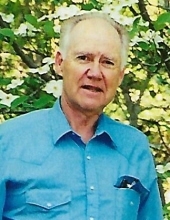 Mr. Ronald Andrew Akin of Greensburg, Kentucky, son of the late Leonard T. Akin and Mary Gurdon Akin, was born on Sunday, December 3, 1933 in Galena, Floyd County, Indiana and departed this life on Sunday, May 20, 2018 at the Richwood Nursing Center in La Grange, Kentucky. He was 84 years, 5 months and 17 days of age. He had made a profession of the Catholic faith. He was a rancher, a Kentucky Colonel, dealt in the Oil business, had the largest tobacco base in Green County, the largest sale of feeder calves at Green County Stock Yards, and First in Nature Conservative. He was also a Veteran having served in the United States Army from March 1956 until February 1958 and then was transferred to the United States Army Reserve. Survivors include two sons and a daughter-in-law: Thomas and Georgia Akin of Columbia, and Troy M. Akin of Greensburg; a daughter: Karen Susanne Akin of Louisville; two sisters: Betty Smith, Lucy Keinsley both of Indiana and a brother and sister-in-law: Dr. Dan and Margaret Jacobi Akin of Indiana; a sister-in-law: Gerry Akin of Greensburg; three grandchildren; four great-grandchildren; one great-great-grandchild; and a host of other relatives and friends. The funeral services for Mr. Ronald Andrew Akin will be conducted at 11:00 A.M., Central Time, Friday, May 25, 2018 at the Cowherd and Parrott Funeral Home with entombment to follow in his mausoleum at the Akin Cemetery with full Military Honors conducted by the Glasgow D.A.V. Memorials are suggested to the Akin Cemetery, which can be made at the funeral home. To plant a tree in memory of Ronald Andrew Akin, please visit our Tribute Store. "Email Address" would like to share the life celebration of Ronald Andrew Akin. Click on the "link" to go to share a favorite memory or leave a condolence message for the family.